Petrol price was today hiked by Rs 1.40 per litre, the second big increase in rates in as many weeks. A rise in international oil prices and depreciation in rupee have necessitated a Rs 1.40 per litre increase in price of petrol with effect from midnight tonight, said a statement by Indian Oil Corporation (IOC). The hike is excluding local sales tax or VAT and the actual increase in rate for consumers will be higher after including the tax incidence. The increase in price for consumers in Delhi will be Rs 1.68 per litre and the new rate will be Rs 70.74 a litre from tomorrow as against Rs 69.06 a litre currently. "The price increase has been necessitated by two factors -- the international gasoline (petrol) prices have increased from USD 128.57 per barrel to USD 131.00 a barrel since the last revision; and the rupee has depreciated from Rs 53.43 to Rs 54.15 per US Dollar during the period," the statement said. 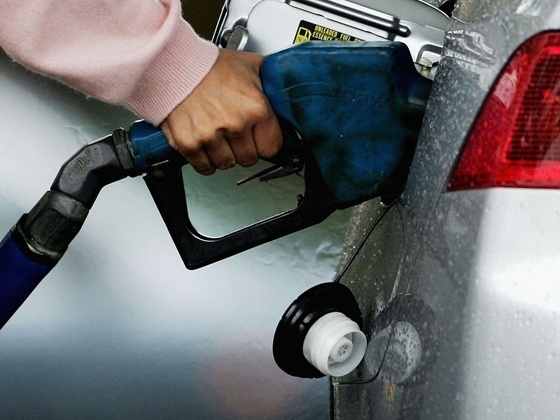 Petrol in Mumbai will cost Rs 77.66 a litre as against Rs 75.89 per litre currently. Following are the revised prices of petrol at Indian Oil Corp (IOC) petrol pumps in four metros with effect from midnight tonight. Rates at pumps of Bharat Petroleum Corp Ltd ( BPCL) and Hindustan Petroleum Corp Ltd (HPCL) vary by a few paisa.